I love Lincoln and not just because it’s my mum’s adopted home town. 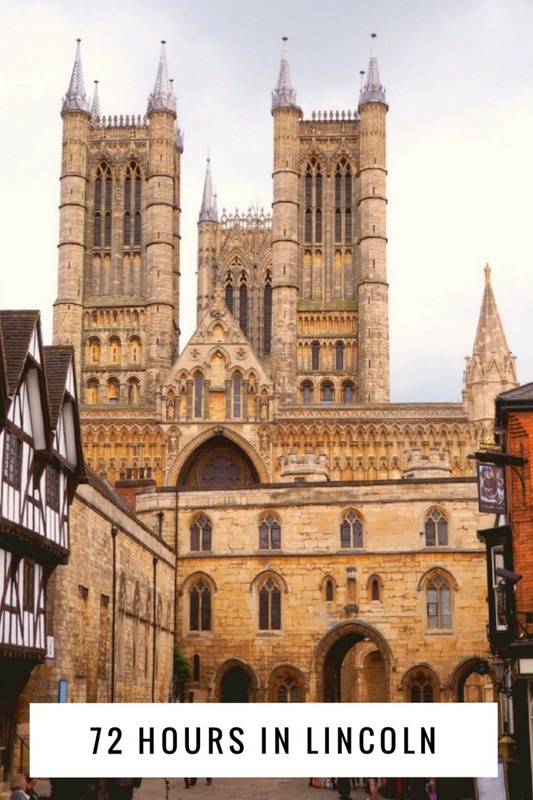 Steeped in history and famous for it’s medieval cathedral, Lincoln also has a castle (complete with Victorian prison and a copy of the Magna Carta,) and is home to some of the friendliest people you will ever meet. 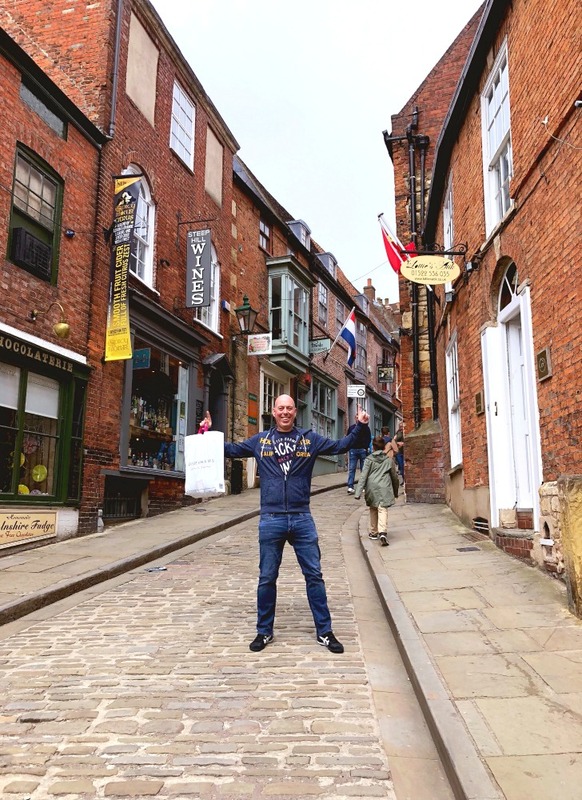 In fact, I’d go so far as to say, it’s one of the most underrated cities in England – it really is such a wonderful place to visit. That’s why, although we’re here mainly for mum we can’t help but fit some tourist time into our schedule. We’re jet lagged as hell but we hit the ground running because we don’t want to waste a minute! Even though I’m a wannabe minimalist, I love shopping in Lincoln. The High Street has all the retail favourites with value added historical buildings too. We work through the High Street like shoppers possessed and then head to Steep Hill, full of unique boutiques and Roman heritage. I use the term ‘walk’ quite loosely because really it is more of a climb! It was voted Britain’s Best Street in 2012 and one thing is for sure, it’s steep by name and steep by nature. In fact, the central part of the hill is so steep that it’s only passable on foot and there’s a handrail provided! 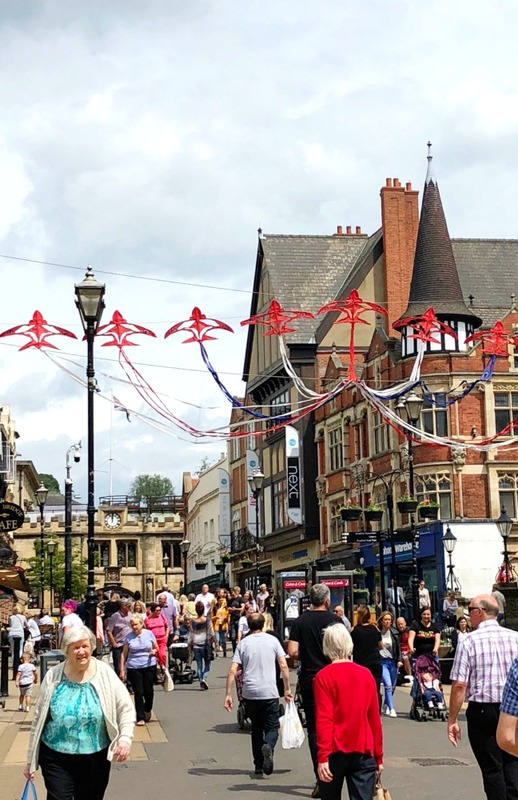 Although the ascent is tough on the legs, it’s easy on the eye because the street is lined with independent shops, cute boutiques, pubs and tearooms. 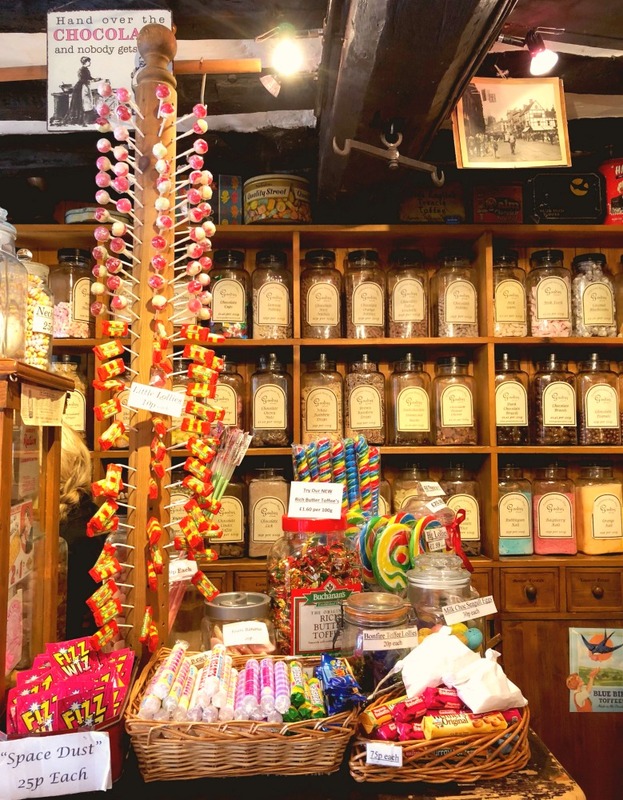 I cannot resist a visit to Goodies Sweet Shop, which looks just like the sweet shops of my childhood and more importantly, sells all the sweets of my childhood. I can’t leave without some licorice pipes, David has to buy some Kendal Mint Cake and I grab a few bars of Frys Chocolate Creme for my friend Leonie, she of the No Bake Cheesecake fame. I’m a very happy shopper. The good news is that when you reach the top of Steep Hill, you’re almost on the doorsteps of both the Cathedral and the Castle. The cathedral is having a bit of a facelift so we head to the castle instead. There are a range of tour and ticket options here but seeing as we’re tight on time and I’m tight with money, we settle on the Medieval Wall Walk (it’s a snip at £7.50). This allows you to walk the complete circumference of the castle wall – about one third of a mile long – with spectacular views of the city, the cathedral and the countryside beyond. We skip the free audio tour but we still enjoy exploring the towers and the dungeons and learning about the battles, sieges and hangings that happened here. I’ve actually done this before but it’s just as much fun the second time round. We don’t feel like paying to see the Victorian Prison or the Magna Carta but we do check out the delightful gift shop – I can’t resist a Magna Carta christmas decoration – and take a quick stroll around the grounds. It’s been a long time since breakfast and all that hill and wall walking has worked up quite an appetite. 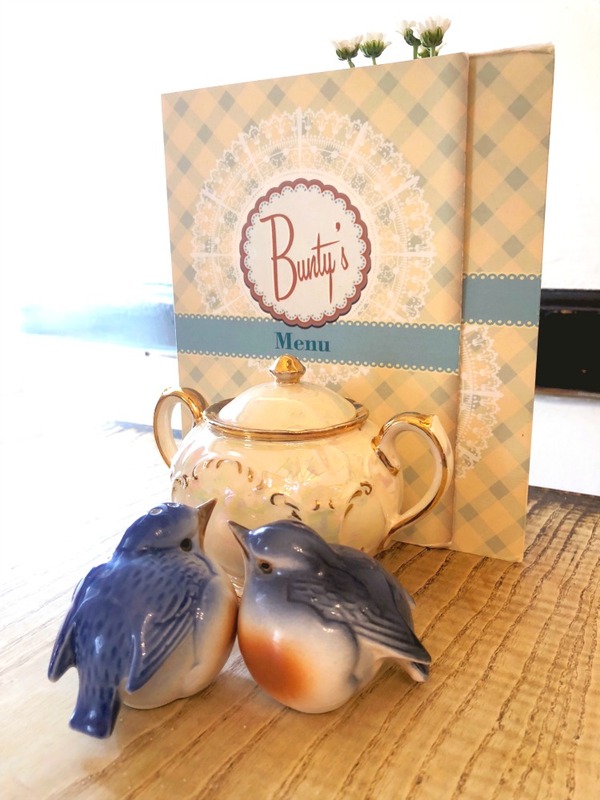 I’ve longingly walked by this 1940’s themed tea room many a time but Bunty’s doesn’t take reservations and there can often be a wait to get in. Today we’re in luck because we score a table upstairs with a view over Steep Hill – which is perfect for perfect for people watching. It’s quite delightful inside, two floors full of bunting and Bunty (the old comic for girls.) 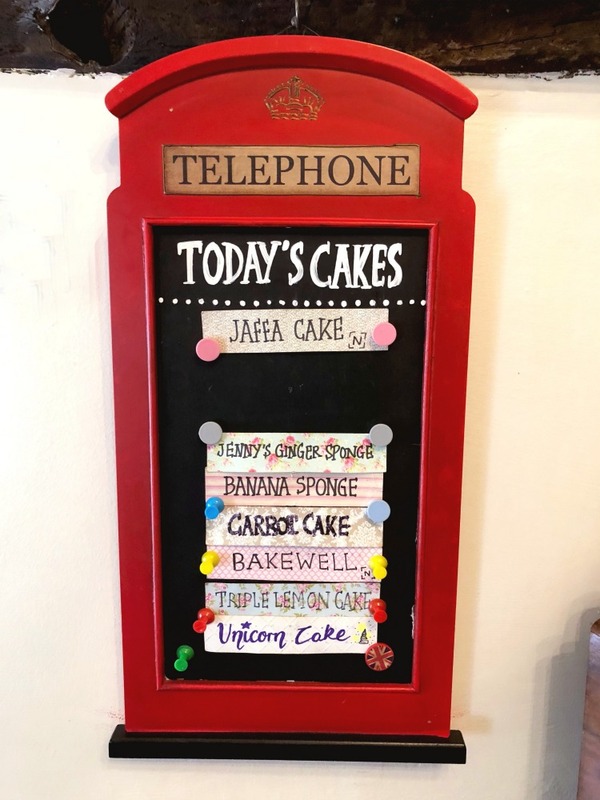 The cake menu here changes daily and serves are generous. 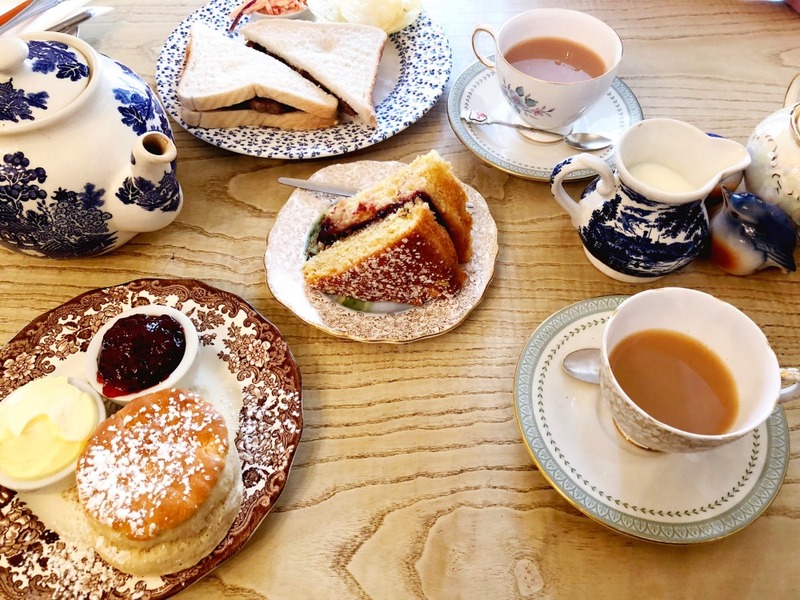 We hedge our bets with a Lincolnshire Sausage Sandwich (because when in Lincoln,) a scone and a slice of Bakewell Cake which was everything we had hoped for and more. We have grand plans to paint the town red tonight but after spending the rest of the afternoon trying to get a taxi, giving up on the taxi and getting a bus, getting a bus and sitting in traffic for the best part of an hour, we haven’t got the heart or the energy for it so we walk to the local pub instead. 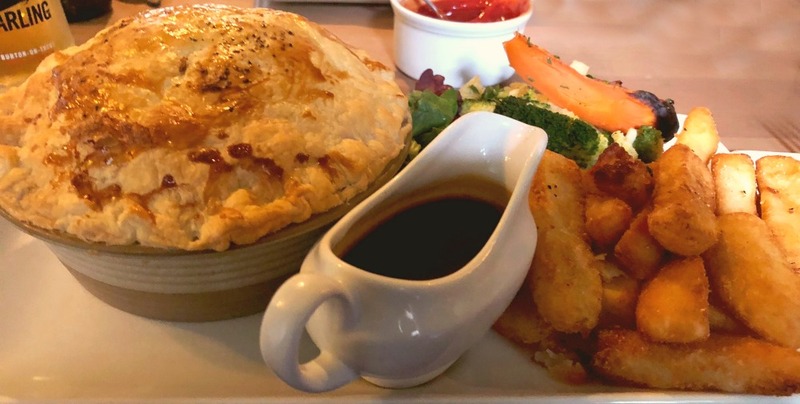 It’s an Embers Inn, so part of a chain, but the menu is varied, the food is good and the welcome is as warm as the fire that burns in the fireplace. Case in point, I’m too tired to photograph my food! 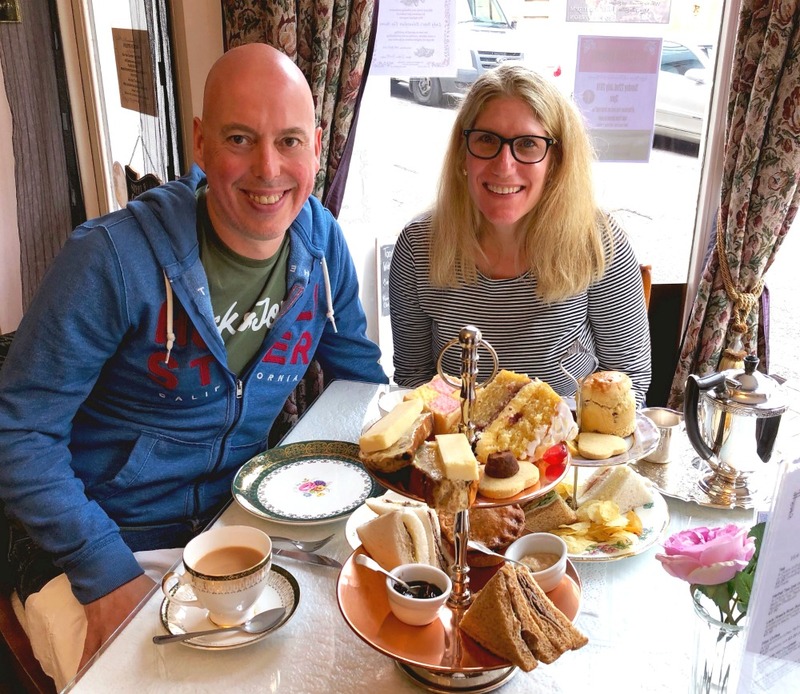 After spending the morning checking out mum’s new pad (or at least it will be her new pad if the house selling gods look favourably upon her,) we retire for lunch at The Swanholme. Our timing is perfect because Wednesday is pie day and there is a plethora of pies to choose from. We are in Pie Heaven, mum has the chicken pie, David has the lamb shank shepherd’s pie and this is my beef and red wine pie. This is a Vintage Inn, so also part of a chain, but the food here is always spot on and I always like to squeeze in at least one visit when I’m at mum’s. It never disappoints and today is no exception. 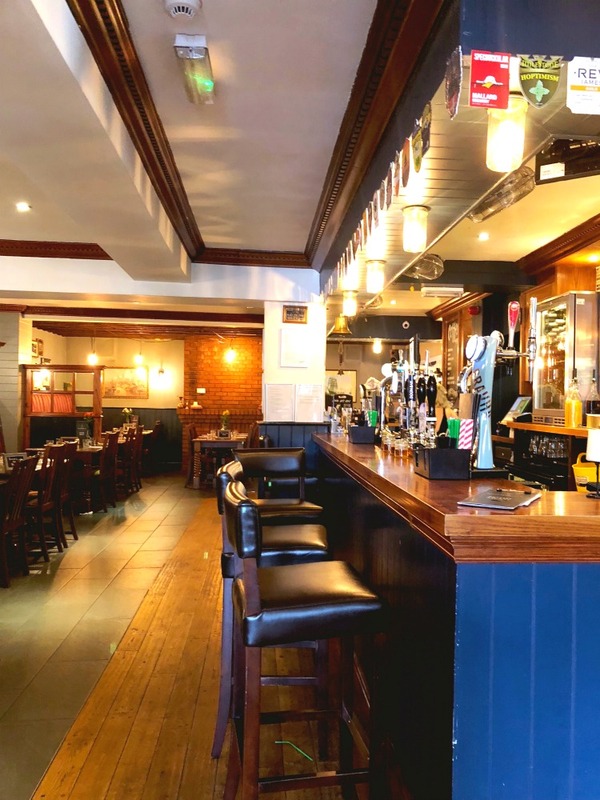 We head back in to town to sample some of the city pubs. 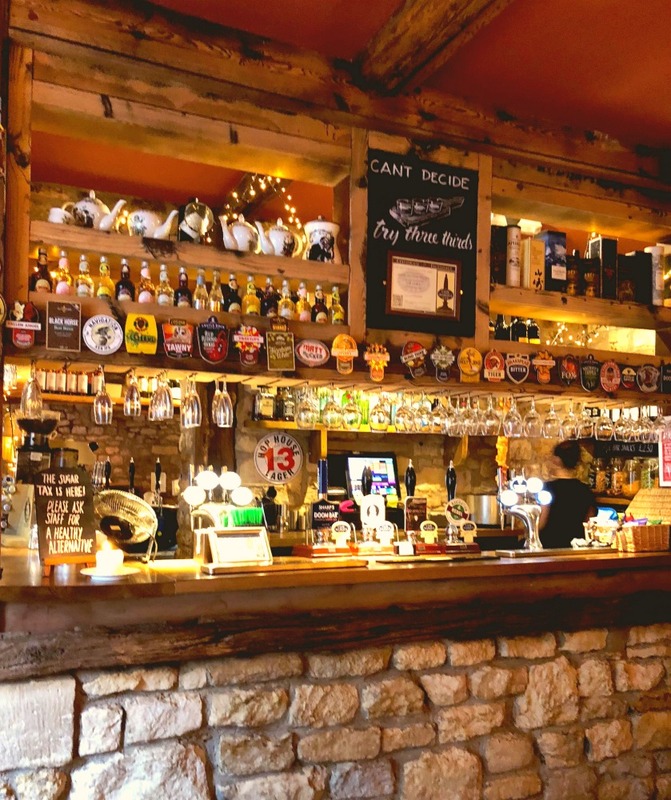 We love this cosy, dog friendly pub in the heart of historic Bailgate. We’re just here for drinks because we’re still too full from lunch which is a shame because the food that is coming out of the kitchen looks amazing ! 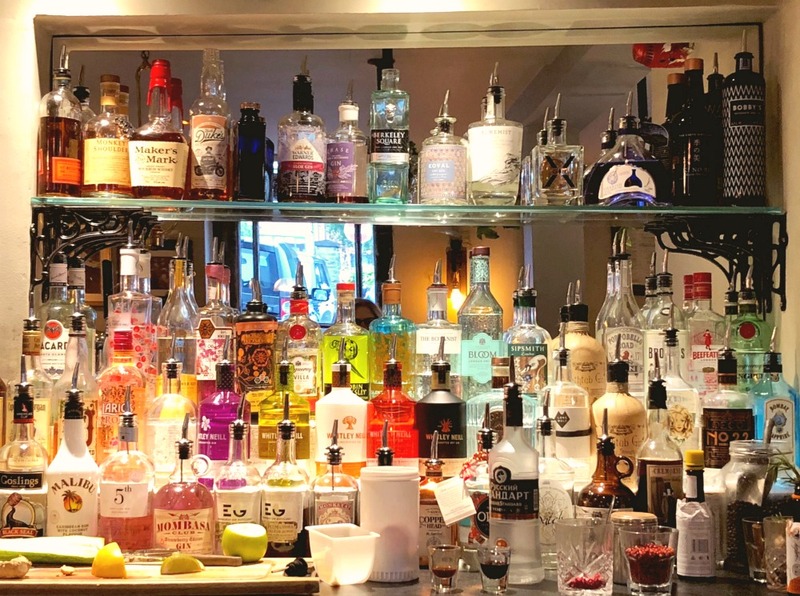 At this quirky bar we find friendly staff, a great atmosphere and an amazing selection of gin. This place has lots of cosy, comfy spaces to relax with friends and all kinds of board games to keep you entertained. The gin cocktails are cracking too. I go for the Raspberry and Pink Pepper and David goes for the Rosemary Blood Orange. They totally hit the spot. If you really take a liking to the gin here, you can take some home with you because there are over 100 types of gin available for purchase! We’re old and we’re jet lagged so we’re calling time on our mini pub crawl. We finish off proceedings here with a delightful Gin and Tonic. Incidentally, gin must be so in right now because the selection here is also mind bogglingly good. 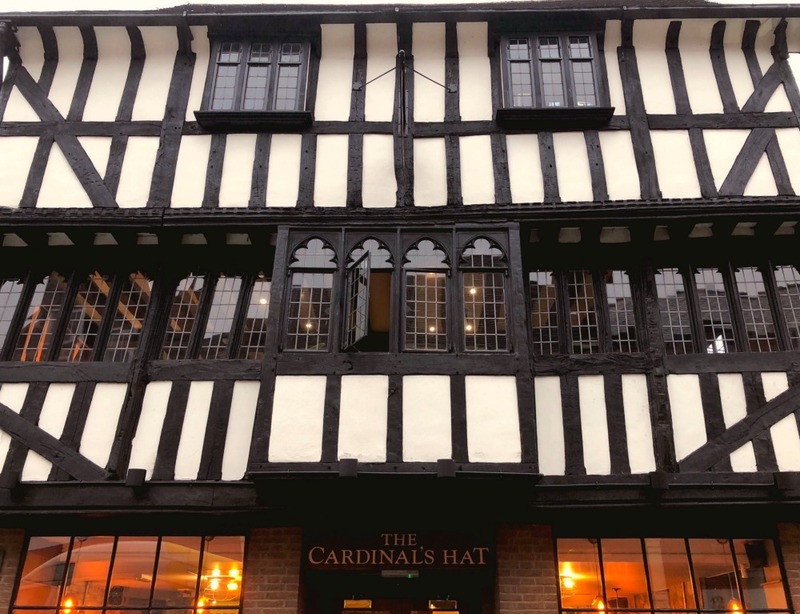 The building actually dates back to the late 1500’s and has a variety of spaces with inviting names such as The Snug and the Hidden Room. We head upstairs to the Great Chamber and relax in one of the wing backed chairs. Oh, so cosy! Our current self thanks our past self for last night’s early to bed scenario because now we are early to rise for a morning run and heaven knows after all the pies, scones and wine consumed, we really need it. This is my mum’s local park and very jolly it is too. It was originally built for Boultham Hall and even though the house was demolished in 1959, the park is still here and Grade II listed no less. 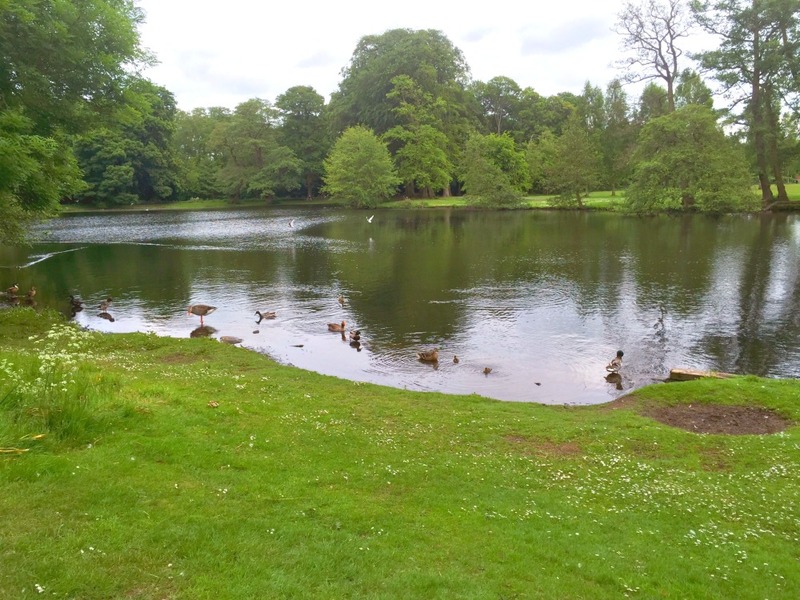 The park has had a bit of a facelift over recent years and it’s looking mighty fine. There’s a cafe (although word on the street is that it’s a little exxy) a horticultural centre, a beautiful bandstand and ducks galore! 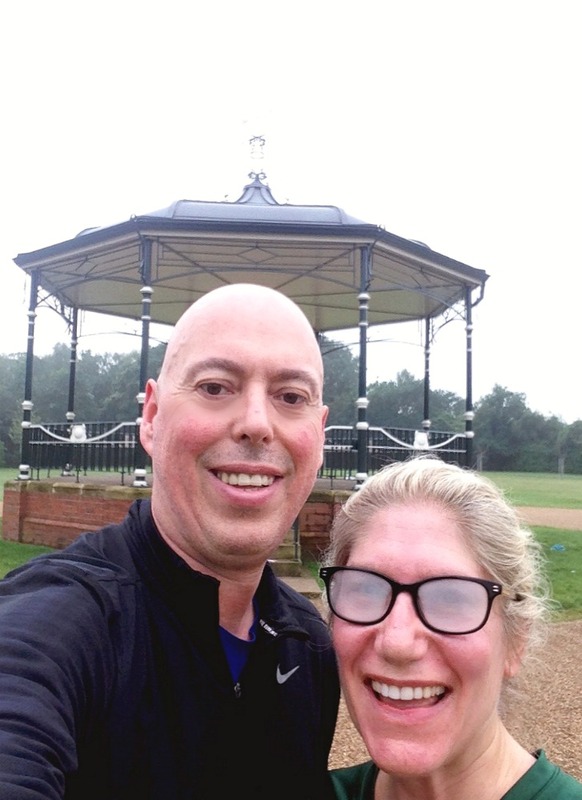 Incidentally, Lincoln Park Run is held here every Saturday but as we won’t be here at the weekend we fashion a Park Run all of our own. And being so early, we get the park all to ourselves, save for a few birds. Look, I work so hard, I even manage to steam up my glasses! We’ve been staying at this cosy bed and breakfast round the corner from mum’s and it’s been a real delight. Rooms are homey and spotlessly clean, the wifi is strong and the breakfasts are epic. Our host Mick is like his tariff, extremely good value and always has a tale to tell. 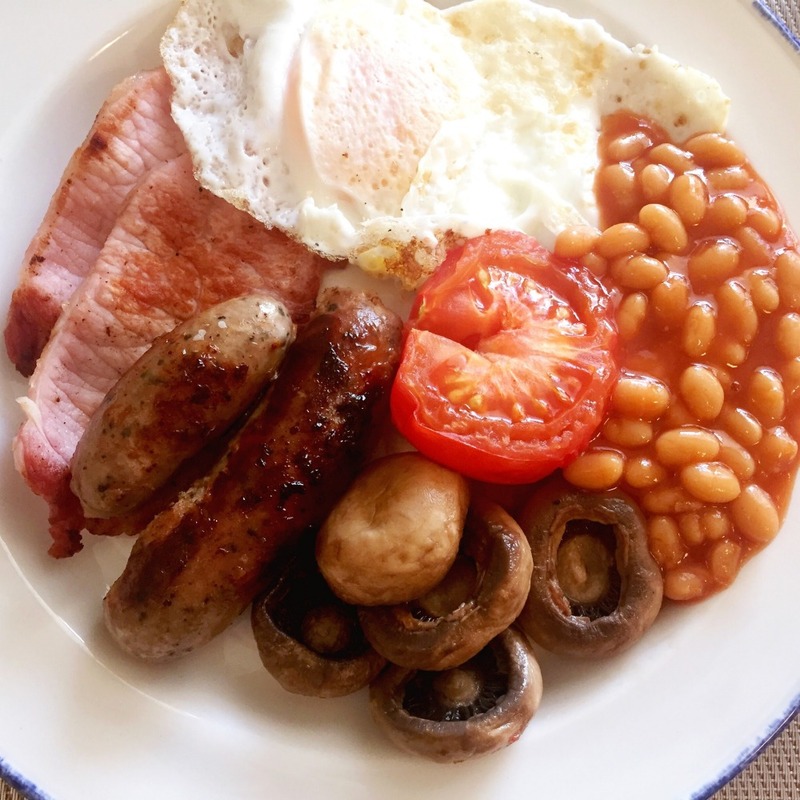 Brekkie is pre-ordered the night before and every night I can’t help but tick the box for Lincolnshire sausages. They’re so good! 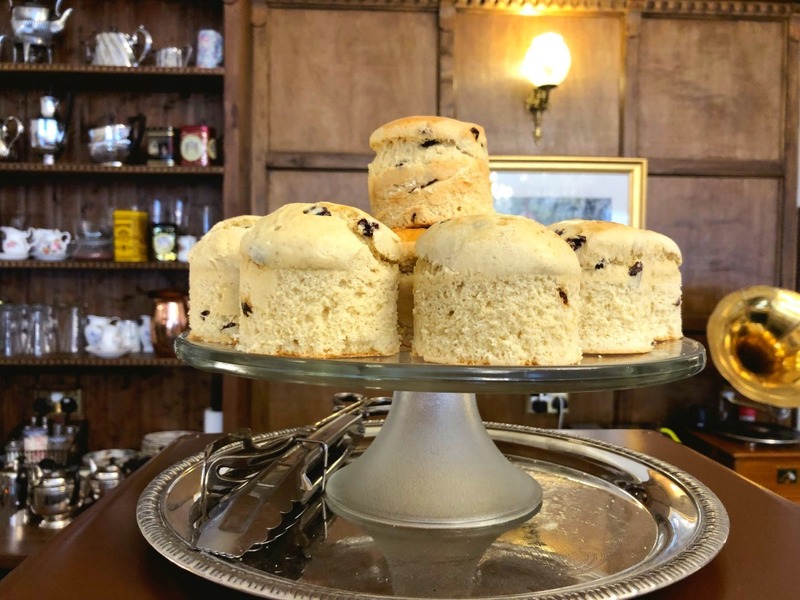 Mr Gearing bakes almost everything himself, the enormoscones included! They really are a sight to behold and no amount of persuasion will make him part with the recipe. Believe me, I’ve tried! 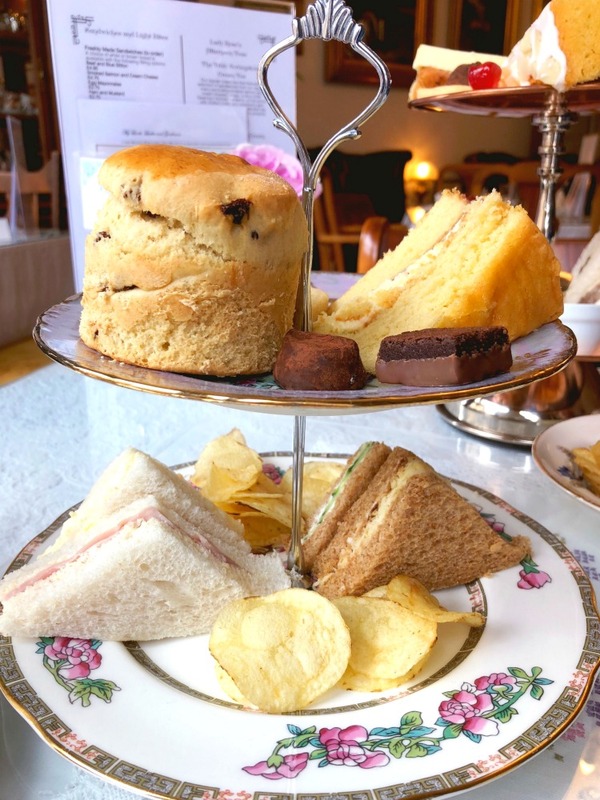 David has the Gentlemen’s Afternoon Tea (£16.50.) 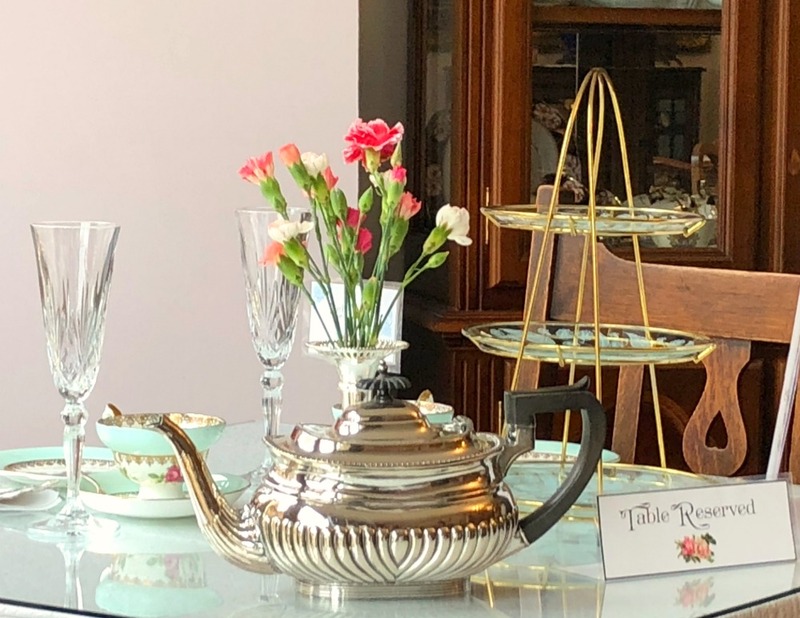 If afternoon tea came with a supersize option, this would be it. There’s a beef and horseradish sandwich, cheese and onion crisps, the most amazing pork pie we’ve ever eaten, a slice of Linconlnshire plum bread with cheese, one of Mr Gearing’s shortbread moustaches and if all that wasn’t enough, a slice of our choice of one of Mr Gearing’s homemade cakes. (In case you’re wondering, we choose cherry and almond.) Everything is delicious, just as sir and madam like it. David says this is even better than the savoury tea he enjoyed at Fortnum and Mason, high praise indeed! Working on the premise that shopping is cardio and calories in need to be balanced with energy out, we hit the shops running (not literally) and we both manage to grab some bargains. I even find some boots! They’re an emergency purchase because it might be British summer but it’s also British cold! 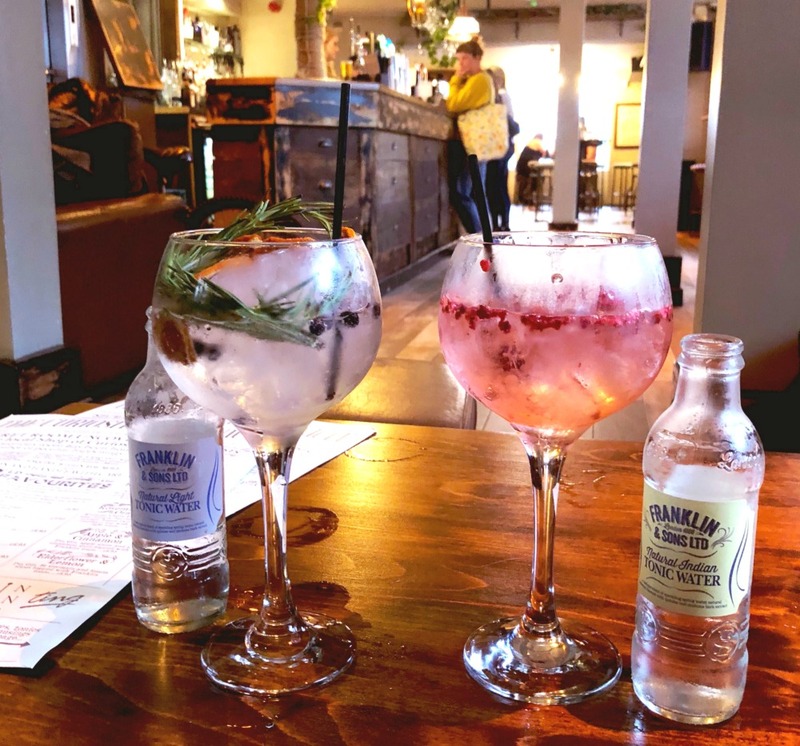 Shopping is thirsty work so we rehydrate at this cosy riverside pub. There’s serve everything from breakfast to Sunday roasts here but of course, I can’t even think about food, let alone eat any! That’s a wrap on our whirlwind three days in middle England. 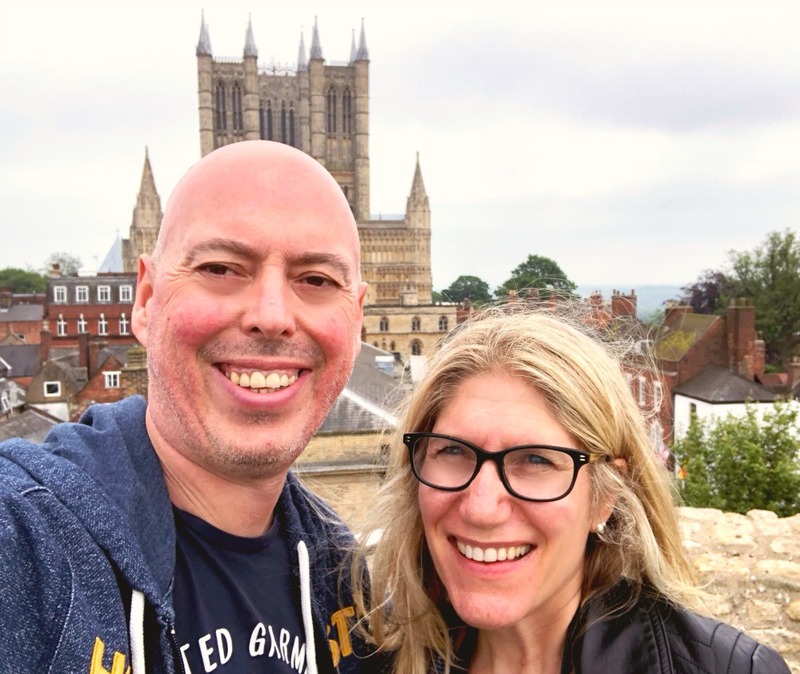 After we felt the Lincoln love, we headed north to Newcastle to see the outlaws and then there was more whirlwinding with 48 hours in Edinburgh backed up with 48 hours in London. After that, David returned down under to go back to work and have a long lie down and I went back to Lincoln for more moments with mum. It would be remiss of me however not to mention two more Lincoln loves that we didn’t fit into 72 hours but I did fit in on my return to the town. I cannot leave my mum’s without some of Elite’s award winning fish and chips. 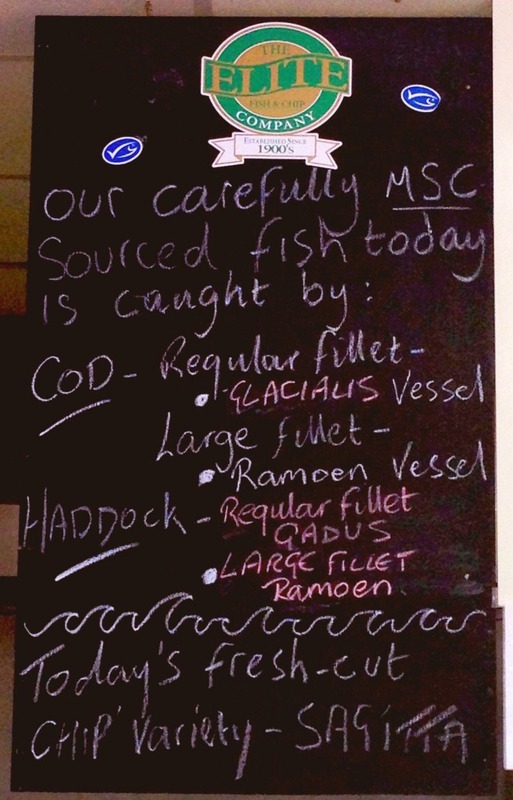 They use fish from sustainable fishing grounds and trace almost every piece of fish that they serve, right down to the name of the boat it was caught in! 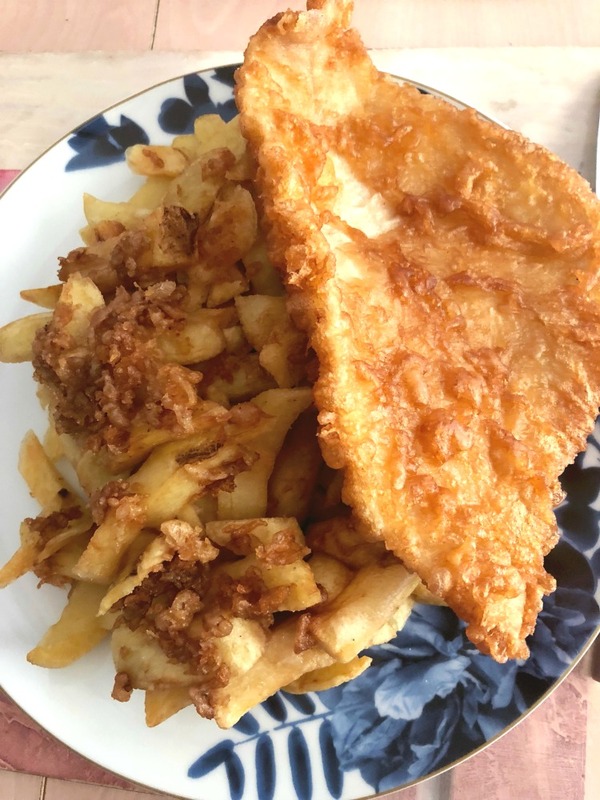 All their chips are fresh cut (with a potato of the day) and fried to perfection. Just around the corner from my mum’s is the Swanholme Lakes Nature Reserve. 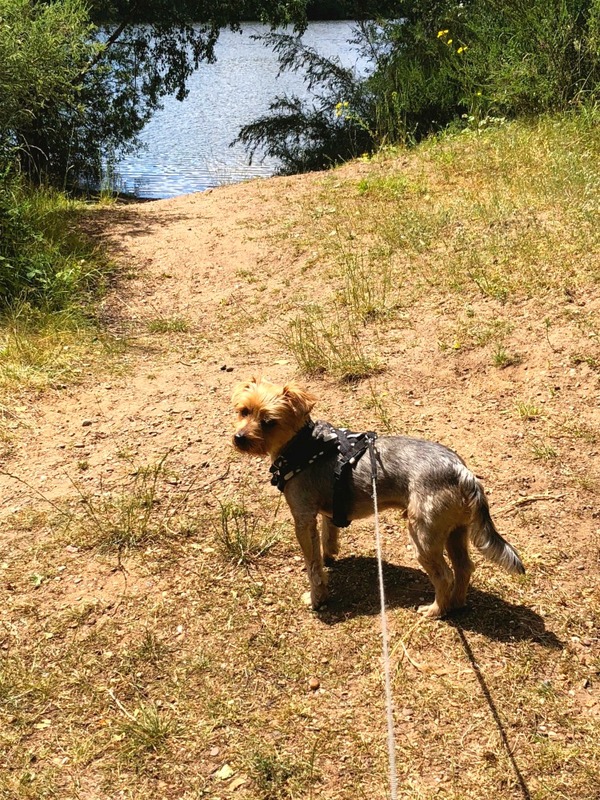 It’s my favourite place for walkies and I think Calvin agrees even though he’d rather be in the water than by the water! Most days, we walk around the lake and finish up at the vast “meadow” for a game of ball. 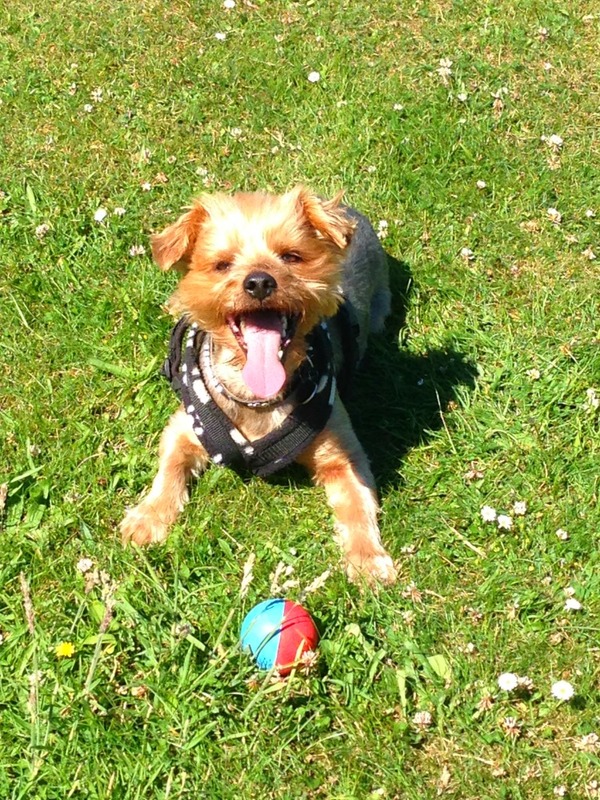 It’s at the end of my stay, when walking with my mum’s friend Cathy and her dog Happy (how’s that for a good dog name,) that I discover a whole new world beyond the meadow in Hartsholme Country Park. 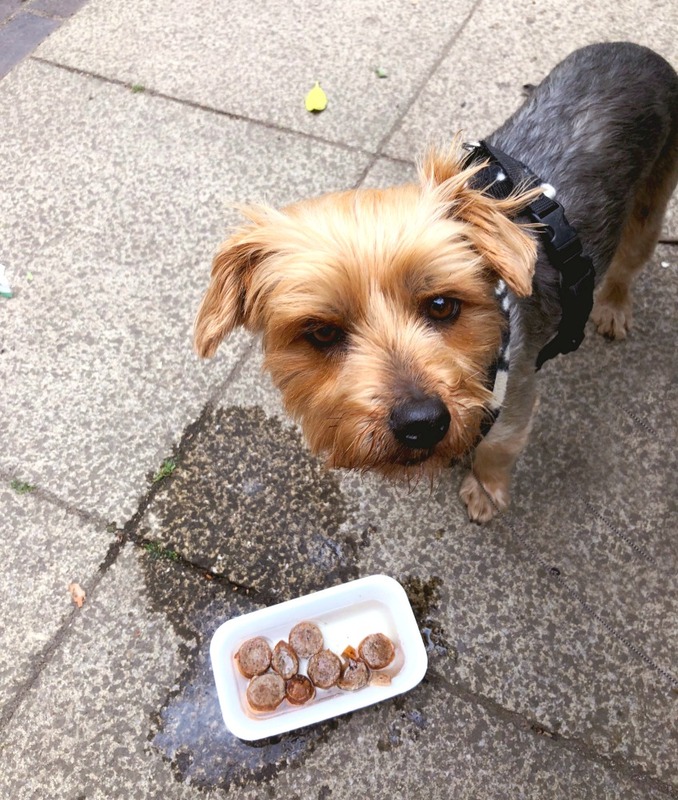 There’s a little cafe there that keeps hoomans in coffee and snacks and dog sausages can be purchased for 50p. What a find! So there you have it, all our Lincoln favourites and all in 72 hours (plus extra time!) 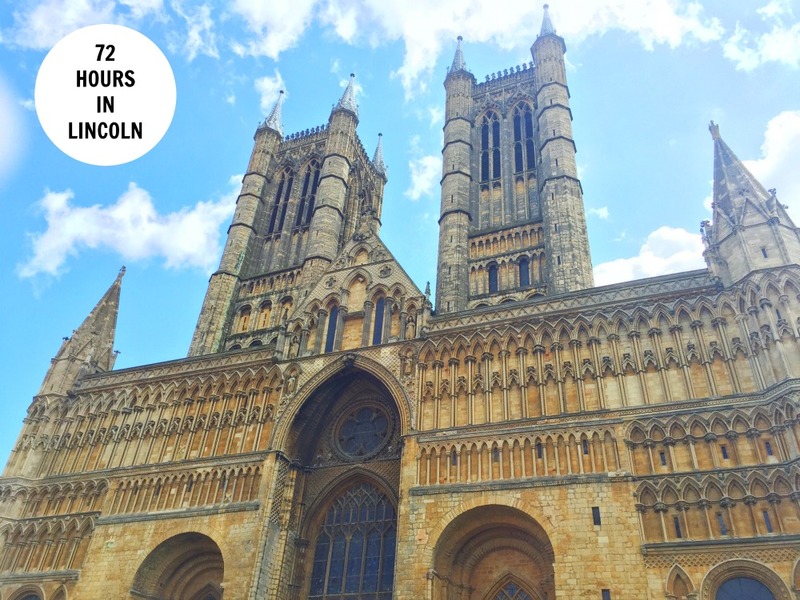 If you had 72 hours in Lincoln, where would you start?